We’re almost mid-way through May, and that means most of us are gearing up for summertime fun. What do you have planned for June, July, and August? Make sure your smile is ready to beam at every opportunity with a professional teeth whitening treatment. Dr. Allan S. Mohr provides two options in whitening: Zoom! and Kör treatments. From over the counter whitening to bleaching toothpastes, you have a number of options when it comes to how you’ll whiten your teeth. But none of them are more effective than a professional treatment. When you choose a customized approach, you’re keeping your gums and other soft tissues safe from the high-powered bleaching gel that can injure your smile. 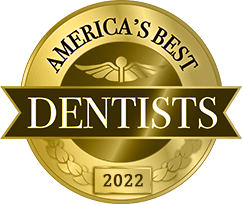 Above all, partnering with your dentist is the only way to receive professional-grade whitening — for the absolute brightest, most dazzling results possible. 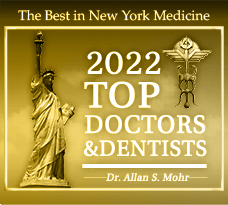 Dr. Mohr offers Zoom! Whitening and Kör Whitening treatments. Both are excellent options for revealing a brighter, whiter smile. The one that is right for you depends on a few factors, the most significant of which is how much tooth sensitivity you are likely to experience as a result of teeth whitening. To perform Zoom! Whitening, we cover up your gums, lips, and everything that isn’t your teeth, then paint the bleach onto the surface of each tooth. The gel is activated under a high powered light in three 15-minute intervals. Kör Whitening usually combines an in-office and at-home treatment. It does not require lights or lasers, rather it uses an oxygenated gel that breaks through stains that live above and below the tooth’s surface. Sensitivity: The main consideration to help you decide between Zoom! and Kör Whitening is how sensitivity-prone your teeth are. The Kör system contains “desensitizers” that help to block the tubes that cause sensitivity. Time: Zoom! Whitening is completed in just one visit to your dentist’s office. Total treatment time for Kör depends on the level of bleaching needed, but most treatments combine in-office and at-home whitening. Price: Kör bleaching can be a little more expensive because it requires more time and work on your dentist’s end. Save Big on Professional Whitening! If you are considering brightening your smile in time for summer, we are happy to share the news that it has never been more affordable to undergo professional teeth whitening than right now. 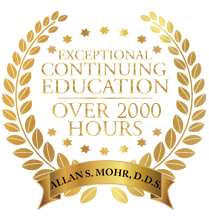 Dr. Mohr is offering two big deals on Zoom! and Kör Whitening treatments — $100 off each! Learn more about how you can save big with the Zoom! Whitening discount or the Kör Whitening special. There’s never a better time to whiten your teeth than right now, just in time for summer! And with our big discounts on professional whitening, you know you won’t find a better deal in town than with Zoom! 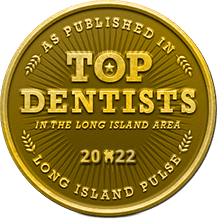 or Kör Whitening from your Massapequa dentist. Go ahead and request an appointment today! by: allanmohr at August 28, 2017 .